I see a lot of people talk about energy and power using terms like “kW per day”. Let’s be clear with our language. kW is a measure of power. Power is actually the rate of energy use. Energy is power multiplied by time in hours. So if you use a kW all day long then you will use 24 units of energy per day. That’s a lot. Only in North America does a typical house use that much. If you are talking about energy use then you should be talking “kiloWatt hours” or kWh because this is the standard unit of energy that you pay for in your utility bills (if unlike me you actually have utility bills). Here are typical meters – old style and new. To make this a bit more real, here is a chart of typical daily electrical energy use for homes around the world. Prices vary from about 8 US cents to 40 US cents per unit. Here in the UK we pay 20 cents or 16 pence per kWh unit. 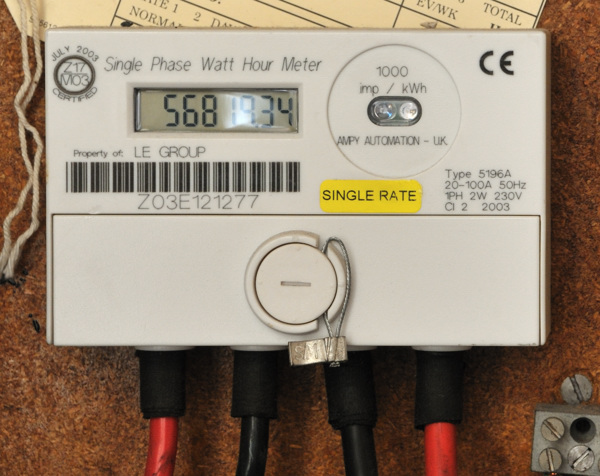 The average British home uses about 13kWh per day costing about £2. 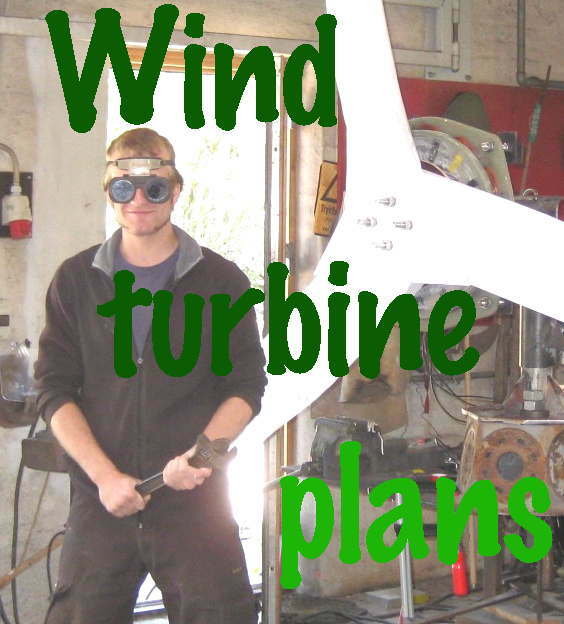 Now suppose you have a 1 kW wind turbine. Does this mean you will get 24kWh of energy per day? Only if the wind blows non-stop full power. Most small wind turbines only deliver about 15% of their rated output as an average figure. (Wind farms get twice as much because they are sited on hilltops.) What about 1kW of solar panels? It depends on where you are, but in the UK we get an average of 4 hours of sun per day so again the energy output is only 17% of what it would be if the sun shone all of the 24 hours. To match a typical UK home’s demand you’d need a 3.5kW wind turbine or 3kW solar array. Or a bit of each. Or why not both, and use more than average electricity by charging up an electric car and heating your house during gales? In my household we use about 50% more electricity than the typical on-grid house and we love having ample renewable energy. It’s not about the money. It’s just so much better than burning stuff to make energy. Burning fuel to make electricity is something we need to put an end to. Or it will be the end of us. Maybe the most interesting thing to learn from looking at kW and kWh is that hydro turbines can outstrip both wind and solar by simply keeping at it full time. Whereas you need 3kW or more of solar or wind power capacity to power a typical UK house, you only need 530 watts of hydro power (on a fulltime basis). 530 watts doesn’t sound impressive but it’s all you need, and the fact that it’s ongoing is also a big advantage because your power consumption is also ongoing. Having a big chunk of solar electricity around lunchtime, or receiving copious wind energy when the wind happens to blow is a lot less useful than having it coming in round the clock when you actually need it for your fridge and your lights and your other needs. The average home uses less than one kW of power on average. Multiply this by 24hours to get daily kWh of energy and then by 365 to get annual energy consumption in kWh. Don’t talk about kw per day. The correct unit for energy is kiloWatthours. This entry was posted in hydro, UK small wind scene. Bookmark the permalink. 2 Responses to What’s a kiloWatt and a kiloWatt-hour? Pedantically, it’s kilowatt-hours; lower case “w”. The *names* of units are always lower case, even when they’re named after people, except in circumstances where most other words would be initial capped (beginnings of sentences, in titles, etc). An odd one is the “degree Celsius” which is so written because the unit is the degree with the “Celsius” being the name of the scale which is being used to say what sort of degree it is. However, the *symbols* for units named after people are initial capped, so watt, W; volt, V; pascal, Pa; ohm, Ω. The symbols of units not named after people are all lower case (metre, m; second, s) except that the symbol for the litre (l) can also be written in upper case (L) to avoid possible confusion with the digit one. I am sure you must be right but I was taught to write kWh and that is mostly how I see it written. I agree that kiloWatt-hour is a bit odd, but I don’t really care. Thanks for pointing it out. What I care about is that people understand the difference between kW and kWh.